March 25, 2008 -- Don't blame it on talk radio and conservative politicians, as if they started something new. The anti-Hispanic rhetoric poisoning political discourse in the United States lately actually dates back to 16th-century Europe. That's when British and Dutch writers set out to deliberately spread negative propaganda about the Spanish colonies in the Americas. Fierce competition with Spain over control of the New World made England and Holland very interested in promoting a negative image of Spanish America. The way their writers depicted the Spanish conquistadors and their Latin American descendants — as depraved, cruel, corrupt, intolerant, authoritarian — caused prejudice that, unfortunately, has survived the test of time and still exists today. 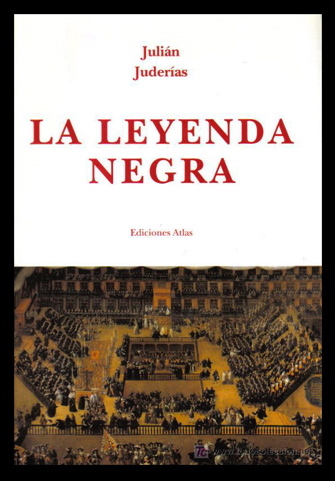 Nowadays they call it "hate speech," but its actual name is "La Leyenda Negra" — The Black Legend. 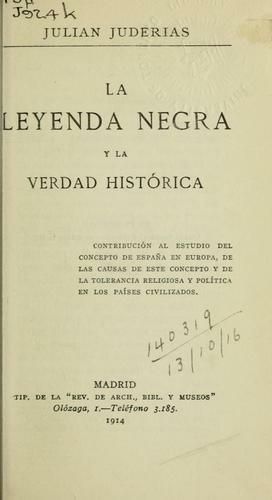 That term was coined by Spanish writer Julián Juderías in his 1914 book, "La Leyenda Negra y la Verdad Histórica (The Black Legend and the Historical Truth)," where he described the unfair and biased way in which the people of Spain and Latin America had been depicted during the previous three centuries. Today's anti-Hispanic rhetoric — fueled by the U.S. debate over illegal immigration, the movement to make English the official language and other efforts to decelerate the growth and influence of U.S. Latinos — is rooted deeply in that well-orchestrated distortion of history that started in the 16th century. As described by many Spanish scholars and authors who backed Juderías' assertions, part of The Black Legend was the effort by Anglo-Saxon historians not only to denigrate the Spanish explorers and portray them as crueler than other European colonizers but also to minimize their accomplishments in North America. Unfortunately, that pattern was continued by American historians, who refused to recognize that the early history of North America was Spanish, not English. They mostly ignored the pre-British century of Spanish presence and accomplishments in North America. And when they alluded to the Spanish explorers, it was to describe them as people who did not settle and colonize, but merely explored, sought gold and killed natives — while the English were described as pious, industrious people, who came to build homes, establish settlements and raise families. While hiding or minimizing the Anglo-Saxon massacre of Native Americans, they hypocritically condemned the Spanish for doing the same thing to the natives of Latin America. In fact, both the British and the Spanish explorers did a lot of terrible things in the New World. The Black Legend easily could have been applied to all of them. But they also did a lot of wonderful things. Yet because history is written by the winners — and because it is the British and their American descendents who ultimately took over this country — it was mostly the Spanish and their Latino descendents who got the blame for atrocities, while the Anglo-Americans got all the credit for building a new nation. 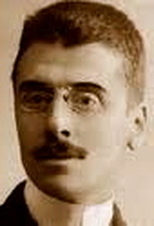 It is that distortion of history that prevents many Americans from seeing that Latinos have very deep roots in the United States; that they have made many positive contributions to our society; that they, too, fought and died to build this nation; and that they should not be treated like foreigners, especially because many can trace their ancestries to a time before the British arrived and English was spoken here. As part of an occasional series on Latino contributions to American society, this column recently examined how distorted history has many Americans believing that (British) Jamestown, Va., established in 1607, is "America's Birthplace," when in fact, (Spanish) St. Augustine, Fla., was born in 1565, 42 years earlier. The column ignited feedback from some readers who either refused to accept historical facts or suggested that if the Spanish and Latinos didn't get credit, it must be for some good reason. "What's your view on why St. Augustine doesn't get the recognition Jamestown does?" one of my readers asked, as if daring me to come up with a logical response. The answer is simple: The Black Legend, a history written to depreciate the contributions and malign the image of Hispanic people. Unfortunately, that's the image of Latinos that today's Anglo-Americans inherited from their ancestors — a distorted image that still prevails in American history textbooks, school curricula, radio programs, and political circles nowadays. When today's conservative radio jocks and politicians refer to illegal immigrants as "a scourge" responsible for additional crime, diseases and taxes; when they complain about a Latino "invasion" that threatens American values and culture; when they promote a ridiculous conspiracy theory that Latinos are trying to take back the part of the United States that once belonged to Mexico, they sound just like those who created "La Leyenda Negra." In fact, that's when you know that The Black Legend is still alive and well in the United States. Published at Creators.com - The Black Legend Returns - on March 25, 2008.